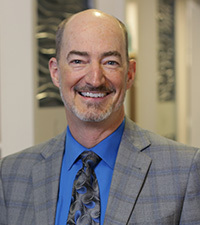 Dr. Kent Smith is a Diplomate of the American Board of Dental Sleep Medicine and American Sleep and Breathing Academy and is President of the American Sleep and Breathing Academy. In 2007, he was asked to start a sleep curriculum at the Las Vegas Institute for Advanced Dental Studies, and in 2012, he was the first in Texas to be awarded a Dental Sleep Medicine Facility Accreditation. In 2013, he was asked to host a weekly radio show on sleep disorders called “Pillow Talk”, which ran for 5 years. He runs two sleep practices in the Dallas/Ft. Worth area and has been speaking on many topics related to sleep both nationally and internationally for the last 15 years. Having offered Invisalign since 2001 and becoming a platinum provider, he is also one of 6 worldwide instructors for Six Month Smiles, a short term orthodontic solution, having taught this system to thousands of doctors nationally since 2007. Over 32 years of experience practicing all facets of dentistry. Expertise in both general & specialty services, such as sleep dentistry and short-term orthodontics. In-demand speaker and educator who can make dental care understandable to patients and help them safeguard their smiles for a lifetime. Frequently published, Dr. Smith is often asked to speak on topics such as sleep apnea, short-term orthodontics, website development, and inter-office communication. He is an active member of the International Association for Comprehensive Aesthetics (Lamplighter Award for 2008), American Academy of Dental Practice Administration, the American Academy of Craniofacial Pain, and the American Academy for Dental Sleep Medicine. He is also on the Advisory Board for Sleep Healers and the co-founder of the Dental Organization for Sleep Apnea. In 2007, he was asked to create a program for Sleep Breathing Disorders at the Las Vegas Institute for Advanced Dental Studies. He was then appointed as the course director/instructor for the program he created and taught workshops/seminars there for several years until he left to teach at other venues. In 2009, he was asked to be a clinical instructor for Six Month Smiles, which is a type of short-term orthodontic treatment that uses clear braces. Dr. Smith has been married to Diana since 1982. He is the father of four beautiful girls who will be allowed to wed after his death. He and his family enjoy scuba diving together and are all rabid Dallas Maverick fans. As an Eagle Scout, he annually works with his brother (a neuro-ophthalmologist and a fellow Eagle Scout) to provide care to the less fortunate in and around Tampico, Mexico. In his spare time, he writes bios for websites and supplies continuing education for professionals. Interested parties can check this out at www.FindCE.com and also find opportunities for speakers at www.Find-Speaker.com.